For a minimum of 2-night stays, including a Sunday, you get 50% off the Sunday night rate. For example, for 2 nights over the period 15 - 17 June 2013, you will pay a total of £329, while the same room costs £438 on booking.com. 100 Australian Dollars (AUD) discount on bookings of at least 600 AUD (that means up to 17% discount). Valid for reservations made until 31 May 2013 (stays throughout 2013). 10% Hotels.com promo code valid for any bookings made until June 3, 2013 (for travel until September 30, 2013). To get the 10% discount, proceed to the reservation as usual, then, in the payment window, look for the section "Apply a discount code", below the total price, on the right side of the screen, type in the code and push the button "Apply. For 2 consecutive week-end nights (Fridays, Saturdays and/or Sundays) in any IHG hotel, you get a pre-paid $50 MasterCard. IHG hotel group includes properties such as: InterContinental Hotels and Resorts, Crowne Plaza, Hotel Indigo, Holiday Inn, Holiday Inn Express, Staybridge Suites and Candlewood Suites. The promotion is valid for bookings and stays between May 31, 2013 and September 1, 2013, when you pay with a MasterCard. - you will receive by post a 50$ Prepaid MasterCard. Open to residents of USA and Canada only. For a limited time period (bookings until 28 May 2013), you get 2 complimentary buffet breakfasts for stays until 30 April 2014. For example, for 4 nights over the period 8 - 12 June 2013 have a total price of 591$ purchased directly from MGM Grand (including 2 free breakfast buffets). The same room, without the 2 breakfast buffets, costs 597$ from booking.com. Hotel discount code from ebookers.com. (Orbitz sister company). Valid for stays throughout 2013, when booked until May 26. Thomas Cook offers a 40% discount for all-inclusive holidays in Sharm El Sheikh for stays in June 2013. For July and August 2013, the discount is 35%. 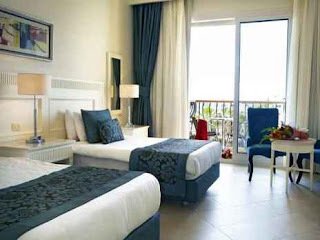 For example, one week allinclusive for two persons in a superior room over the period 22 - 29 June 2013 has a total price of £286, being a 40% discount off their standard rate. The same room for the same period costs £572 from booking.com (double price). CheapTickets.com (part of Orbitz group), offers a 20% hotel promo code for stays in Las Vegas until 31 August 2013 (when booked until 26 May 2013). 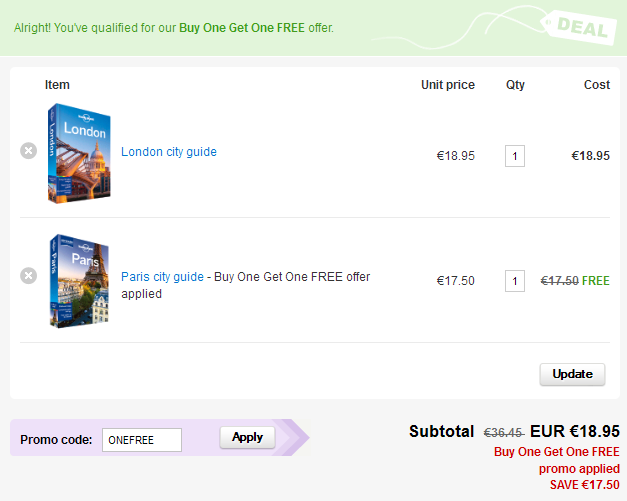 For purchases until May 23, 2013 there is a Lonely Planet discount code valid for all travel books and guides (excluding pre-orders). With this discount code, you get the second guide for free. The Lonely Planet coupone code is ONEFREE. - could be located even further away from the Theresienwiese (but still reachable using public transportation). - K+K Hotel am Harras**** at 929$ from TUI. The vouchers may be bought until 24 May 2013; reservations to be made until 16 August 2013 and tour to be taken until 28 November 2013. Contact the travel agency indicated in the offer before purchasing the voucher, to ensure they have availability for your preferred date. Hotels4U.com (Thomas Cook group) offers a 40% for allinclusive holiday in Sharm El Sheikh at the AA Grand Oasis. That translates into a price of 308€ for 7 nights all-inclusive for 2 people (or 22€ per person per night). For bookings and travel until 31 December 2013, P&O Ferries offers a £20 voucher to spend onboard, when you book a return crossing from Dover to Calais (the return date must be at least 5 days after the outward journey). ebookers.com (part of Orbitz group) offers a 15% discount code applicable this weekend only (for travel throughout 2013) . The ebookers voucher code should be applied on top of the payment window, just above the credit card information, in the section "Promotion code". 89€ per night (breakfast included) at the Best Western Premier 61 Paris Nation**** for stays for the most parts of July and August 2013. 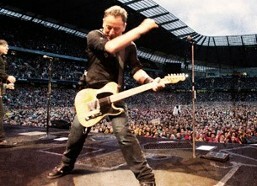 To be booked by 20 May 2013. As an example, 2 nights over the week-end 19-21 July 2013 have a total price of 178€, that is almost 60% discount from the 398€ charged by booking.com. This deal is sold by ANIMOD (a German based hotel discounter - they also have the English version of their website). 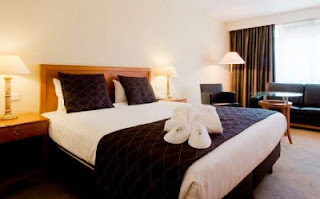 Currently, they offer hotel vouchers for double rooms at the Gresham Belson Hotel Brussels**** for 100€ for 2 nights, breakfast included (50€ per night). The vouchers are valid only during the period 4 July - 2 September 2013. For example, 2 nights over the week-end 19-21 July 2013 will cost 100€ from ANIMOD, that is almost 50% discount from the 192€ charged by booking.com. The offer is on sale from ANIMOD (a German based hotel discounter - they also have the English version of their website). 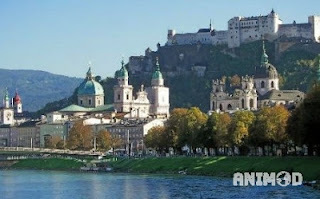 Currently, they sell vouchers for double rooms at the Amedia Hotel Salzburg **** for 100€ for 2 nights, breakfast included (50€ per night). The vouchers are valid one year after purchase. For example, 2 nights over the week-end 14-16 June 2013 will cost 100€ from ANIMOD, that is a 60% discount from the 250€ charged by booking.com. For travel throughout June and July 2013, you get a 20% discount of the airfares from Brussels Airlines (when booked until 26 May 2013). For bookings until 26 May 2013 (stays throughout 2013) you get 15% discount with the RatesToGo promo code SWEET15. Hotels4U.com (part of Thomas Cook group) has a special offer for allinclusive vacations in Riviera Maya. For a limited time, they offer a 30% discount at the Occidental Grand Xcaret***** (when compared to their regulare prices). For example, 7 nights for 2 people during the period 8 - 15 June 2013 have a total price of 846$ (that's 60$ per person per night). The same holiday is sold by Expedia and Orbitz at 1 300$ (that means that the actual saving with Hotels4U.com is of 35%). 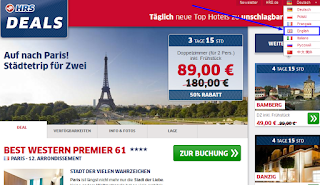 CheapTickets.com (part of Orbitz group), offers a 50$ hotel promo code for stays until 31 July 2013 (when booked until 19 May 2013). The offer is valid for purchases of minimum 200$, thus translating into a maximum 25% discount. Interesting promotion run by Avis for reservations made until June 6, 2013. You get up to 15% discount on car rental and, on top of that, a 15% discount for shopping at Macy's. Make sure to check prices of the competition as well, before you make a reservation (even with this promotion, Avis prices might be higher than you can get elsewhere). A quick verification that we usually do is to check prices on Expedia.com (which aggregates offers from multiple car rental companies). Zuji Singapore (part of Travelocity group), offers a 16% discount on all Japan hotels, for reservations made until 13 May 2013 (travel until 31 October 2013). The Zuji coupon code must be applied in the payment window, just above the credit card information. They currently offer a 16€ discount on all hotel bookings made until 21 May 2013 (stays throughout 2013). The HipAway coupon code is HIPAWAY16 . Living Social UK offers a great deal for a two night (total price of £135) of three night stay (total price of £175), at the Domaine de Valmont, in Barsac, some 30 kilometers south west of Bordeaux. - chateau visit with wine tasting. The deal is valid for stays until 11 November 2013 (not valid for Saturday night stays and other specific dates - see website for details). For example, a three night stay with Living Social during the period 23 - 26 June 2013 costs £175. This is more than 40% discount from the £303 charged by booking.com. While the regular ticket sales websites show sold out for this concert, Superbreak, a UK-based holiday and entertainment distributor, still has some tickets available, when combined with a hotel stay for the night of the event. For example, 2 tickets plus a double room (breakfast included) at the Novotel London Excel (Docklands) have a total price of £313 (or £157 per person). A new promotion valid for bookings and stays until September 30, 2013. The promotion offer up to 50% discount off the standard rates, which actually results in an approximate 15% savings when compared to booking.com. Circus Circus Las Vegas "Vegas Summer Escape"
For bookings until the end of May 2013 (stays anytime during 2013) you get 5% discount using the OnHotels promo code MAY05. We normally would not advertise such a small discount of only 5%, but the rates for OnHotels are usually already discounted, so an additional 5% coupon will results in considerable higher final savings. We recently booked with OnHotels at the Holiday Inn Lille Ouest Englos**** in Lille, France, for 64 euro per night, breakfast included, during the month of April 2013. CheapTickets.com (part of Orbitz group), offers a 20% hotel promo code for stays until 31 August 2013 (when booked until 12 May 2013). Holiday Autos (part of lastminute.com / Travelocity group) offers a 12% discount code from 6 to 12 May 2013 (valid for pick-up of the rental car until 15 July 2013). The offer is valid in Italy, Portugal, Greece, Cyprus and Malta. As an example: 4 nights during the period 1 -5 June 2013 at the Stratosphere Hotel and Casino have a total price of 240$ for a deluxe double room (including resort fees). That is a 20% discount from the 297$ charged by booking.com. This Disneyland Paris promotion is valid for stays between June 1, 2013 to November 7, 2013 (except the period 26-29 August). For bookings until 5 May 2013, you get a fixed rate of 45 euro per night for stays in June, July and August in Italy, Spain and Porugal. This is the kind of deal we like: fixed price, so you know from the beginning whether it's good or not. As opposed to the deals advertising "starting from ..." and you try to make a reservation the price doubles. Enjoy planning your summer holidays! 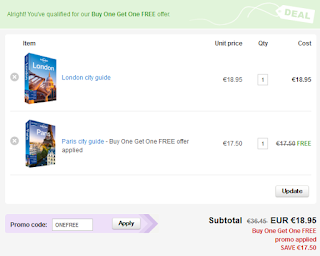 Priceline (the parent company of booking.com) recently introduced a new feature to their offer: the Express Deals. These are hotels for which you cannot see the name before you book, but only a brief description and the area where they are located. Only once you make the purchase, you will be shown the full details of the hotel. This much like Hotwire's Hot Rate hotels or lastminute.com's Top Secret Hotels. For bookings until June 3, 2013, you have a Priceline promo code for additional 5% discount off Express Deals (travel until June 23, 2013). See our previous post on how you can uncover these Express Deals. For stays until July 31, 2013, you get a 15% discount for all hotels, with no blackout periods (when booked until 30 June 2013). The Orbitz coupon code is GRAD15. Deal offered by Living Social, valid for purchase until 5 May 2013 (voucher to be used until 30 September 2013). 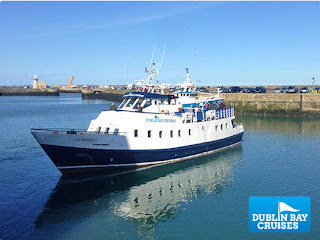 The voucher is valid for a 75 minute cruise of the Dublin Bay, with a specialised vessel and crew. AlphaRooms is a UK-based online travel agency, that often shows some of the best prices available online. For bookings until the end of May 2013 (stays anytime during 2013) you get 5% discount using the AlphaRooms promo code TENNISDEAL. The offer is valid for minimum 2 nights stays at hotels classified at least 3 stars. The discount code needs to be typed in the hotel search box, just below the information about the number of persons traveling. We normally would not advertise such a small discount of only 5%, but the rates for AlphaRooms are usually already discounted, so an additional 5% coupon will results in considerable higher final savings.We recently booked with AlphaRooms at Hotel Artis**** in Rome, Italy, for 48 euro per night, breakfast included, during the month of March 2013. 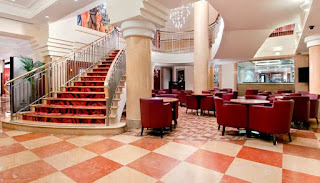 As an example of good deal for the current promotion: for 2 nights over the weekend 15 - 17 June 2013, the 4-star Crown Moran Hotelis has a total price of £174, breakfast included. 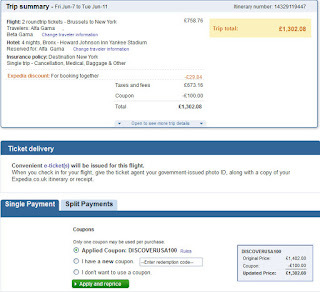 That is more than 30% discount compared to the £257 charged by booking.com. 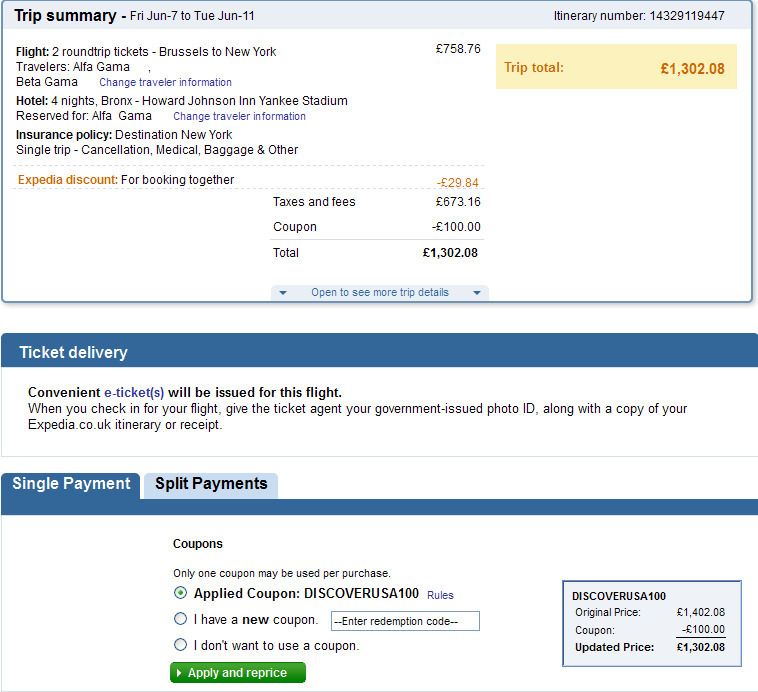 CheapTickets.com (part of Orbitz group), offers a 25$ coupon for stays until 30 June 2013 (for a minimum booking value of 250$). Lufthansa is currently offering a coupon for 10 euro discount on your next flight departing from Germany. The coupon must be redeemed until 30 June 2013 and flights must occur until 31 December 2013.